On March 14th, 2018, renowned physicist Stephen Hawking peacefully passed away at the age of 76 in his Cambridge home surrounded by family. He will forever be remembered for his fascinating studies of quantum physics, black holes, and gravitational singularity theorems. Throughout his life, he persevered in his studies and uncovered scientific breakthroughs that changed the way humanity sees the stars and the entire universe around us. 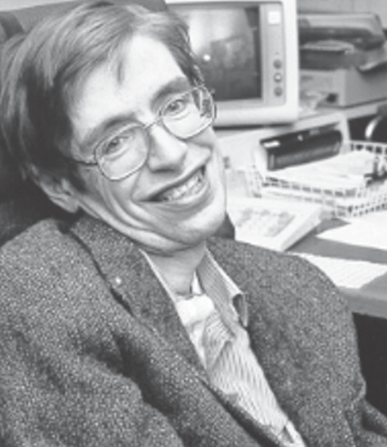 His life was filled with a passion for science and educating. While he had been diagnosed with Lou Gehrig’s disease nearly fifty years ago, he refused to allow anything from stop him from pursuing a higher knowledge of the world around him. “He was a great scientist and an extraordinary man whose work and legacy will live on for many years.” his children Lucy, Tim, and Robert said soon after their father’s passing. “Stephen Hawking will be remembered for his incredible contributions to science making complex theories and concepts more accessible to the masses,” stated Satya Nadella, CEO of Microsoft. Hawking will never be forgotten; his imprint on human history is as vast and never ending as the universe he dedicated his life to.